Mind mapping software tools are an integral part of organization for both personal and professional use. A good mind mapping software application helps you map your thoughts sequentially and logically with precision and resourcefulness. 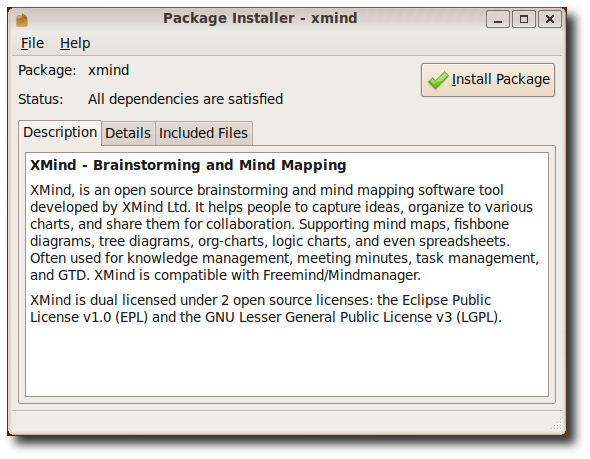 Here we look at XMind 3 which is free mind mapping software that you can run on Linux, Mac, and Windows systems. 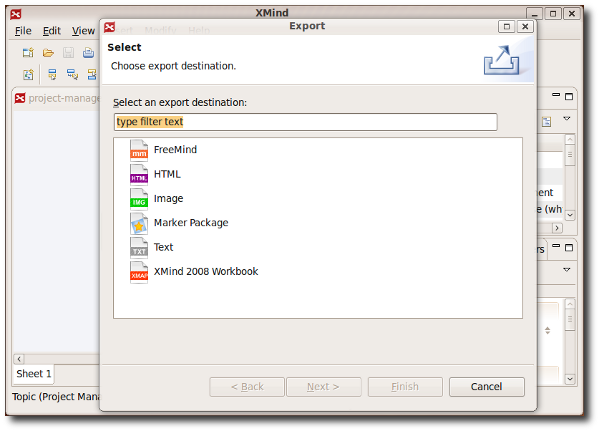 XMind 3 is both a product and an open source project released on November 10, 2008. XMind 3’s mission statement is to create, as a community, the leading international mind mapping and brainstorming software that will run on all major platforms and raise users’ work efficiency. 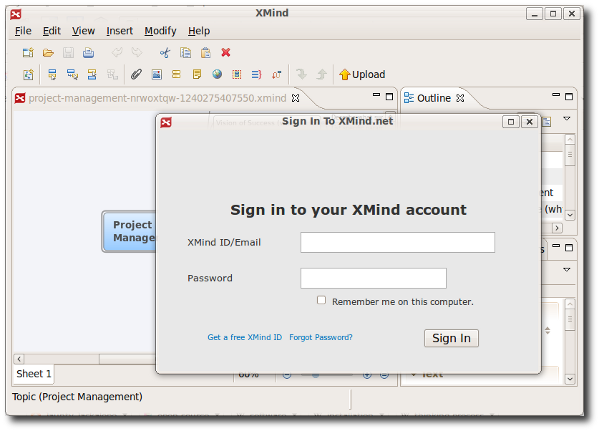 You will need to create a free account to download and start using the XMind application from their site. The free account also allows you to easily share your maps with others for collaboration. 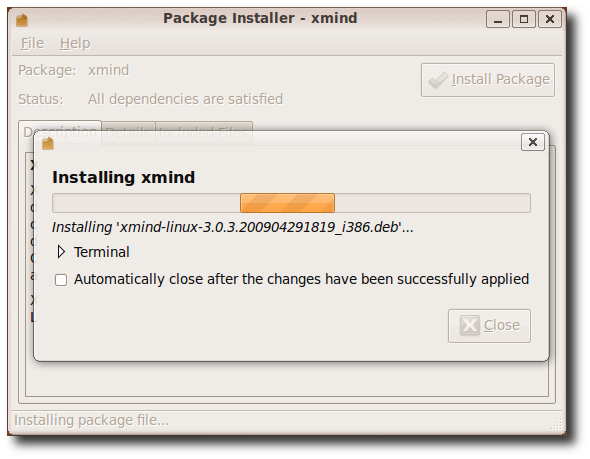 There are 2 versions of XMind. One is totally free and open source and the second is a pro version which provides a number of advanced features, including presentation mode, audio notes, and is geared more toward corporations. 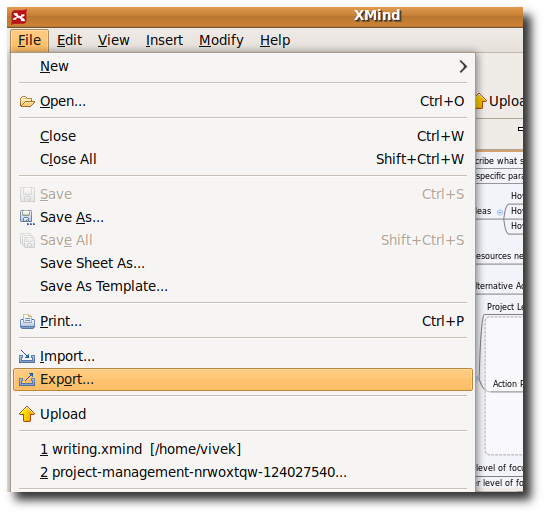 We are going to download and install the free version of XMind which is perfect for individuals and small groups. 1. 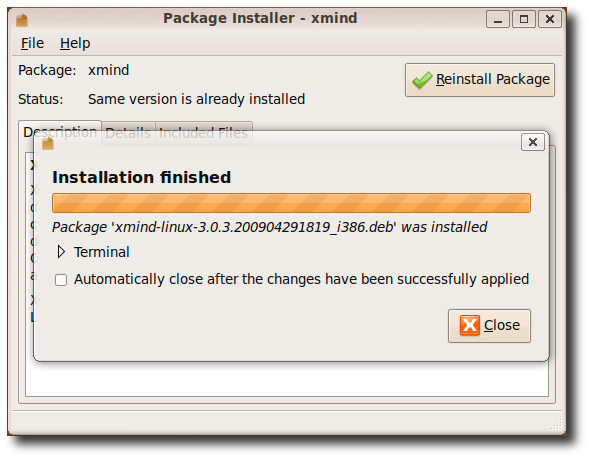 Download the free version of XMind deb file which includes 32 and 64 bit versions (download links below). 2. Once you have the deb file. Double click it to start the installation. Once you click Install Package, you’ll be prompted for the admin password in order to begin the installation. 3. Once installed click close. 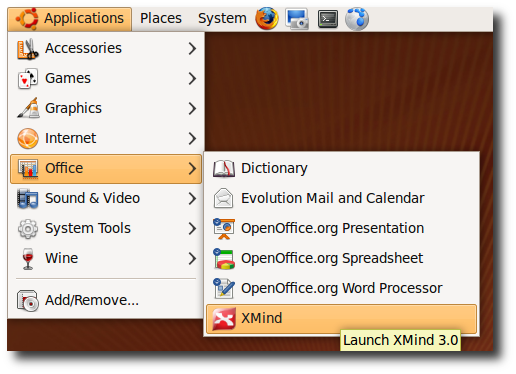 Once installed XMind will appear under Applications \ Office \ XMind. 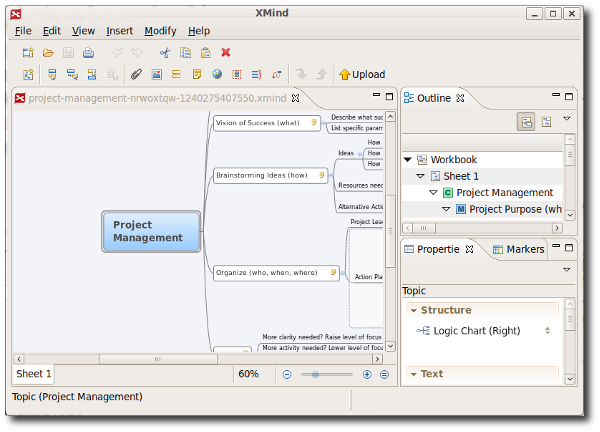 The interface is quite intuitive and creating mind maps using XMind is like a walk in park. You can also upload your mind maps on the XMind website for others to download, use and collaborate. You’ll need to have an account on XMind in order to upload your mind maps. You can also export your mind maps in various formats like, html files, image etc. Click on File \ Export. You can also download various mind maps uploaded by users. Have fun creating some gorgeous mind maps and don’t forget to share by uploading them!